Be “fall conscious” – As the leading cause of injury and death among construction workers – and the single biggest source of OSHA penalties in the industry, lack of adequate fall protection is simply unacceptable. Whether using a fall protection device with an integral decelerative cable or simply safer scaffolding materials, it is crucial that falls be avoided at all costs. OSHA levied more than $20 million in fines in the year 2014 alone for fall-prevention equipment deficiencies. The basic OSHA 10 or 30 hour class will discuss this topic in-depth. Recognize the dangers of asbestos – Construction workers face asbestos all too often. Whether they’re demolishing an old building, rehabbing a boiler or furnace in a commercial establishment, or simply working in an attic of an older home, asbestos fibers can cause severe and irreparable damage to a worker’s pulmonary and respiratory system. Taking a training course from an accredited workplace safety organization will go a long way to enhancing job site safety and minimizing asbestos exposure. Be safe in the “trenches” – Working in and around trenches is a fact of life for construction workers – especially those who work on large municipal projects or on commercial builds. There are a host of safety regulations that must be followed to keep workers safe when operating within a subterranean trench. Escape ladders, specific rules regarding materials kept near the edge of the trench, reinforcing plates, and more are important to consider when striving for total safety in the trenches. Use machinery with caution – Significant and lasting injuries – even deaths, can be attributed to improper use of heavy equipment and machinery. Serious injuries occur simply by slipping while climbing into or out of a machine’s cab or operating platform, while other injuries have occurred when machine operators are struck by falling debris or interfere with overhead power lines. Making sure that machine operators are 100% comfortable with their equipment and understand how to safely work within an area that might contain construction workers on foot is vital to ensuring a safe and compliant jobsite. Get trained! 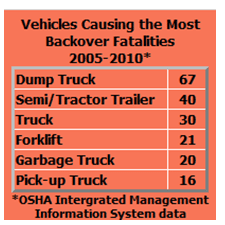 – One of the biggest safety concerns today is simply a lack of training. Construction workers should take, at a minimum, the OSHA 10 hour class before ever swinging a hammer. Those who want additional instruction can opt for the 30 hour class. This longer series of instruction modules is also well-suited for construction managers, foreman, and other supervisors. The Asbestos Institute has a track record of delivering top-quality training at affordable prices. Workplace safety should be the first priority for those who frequent the jobsite. By completing the requisite training and by using common sense, there is no reason why construction site injuries can’t be significantly reduced. There are more OSHA regulations than the average construction worker, foreman, or owner could ever possibly memorize, but here are several that stand out due to their everyday-relevance, their importance, and their impact on the health and wellness of the worker. From this list, keep in mind that there are countless other regulations that are important and should be understood fully to ensure employee safety on the job. 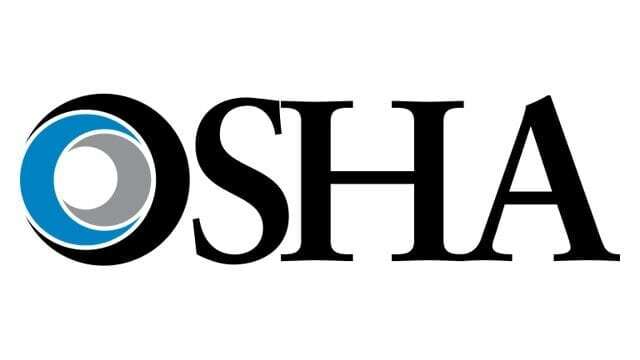 OSHA 1926.0501 – Duty to have fall protection: When looking at the construction industry as a whole, this is the most common citation issued by OSHA. More than 7,000 citations were issued during 2014 – representing over $20 million in fines levied on construction companies across the US. This is an incredibly high number when you consider that the entire construction industry received $61 million in OSHA-related fines for the year. Of the 794 total deaths in the construction field in 2014, 294 of them were from falls. This accounts for nearly 37% of the total death rate, and is an indicator that this regulation is absolutely crucial to abide by. OSHA 1926.1053 – Ladder safety: It is no surprise that ladders are one of the most dangerous pieces of equipment that can be used on the job site today. Improper ladder use can result in dangerous or deadly falls, and ladders that are placed within reach of electrical wires or power lines can pose a deadly electrocution risk for construction workers who fail to use a ladder properly. More than $4 million in fines was delivered to construction companies during the year 2014 – representing about 7% of the total penalties issued by OSHA. Ladder safety is of paramount importance for any type of construction company. OSHA 1926.0503 – Training Requirements: The requirements are simple – construction industry employees must be trained on how to properly use the entire range of equipment they may encounter. They must also understand and execute proper activities when it comes to the management and handling of dangerous or hazardous materials. Employees must use proper safety equipment, keep ladder safety in mind, and abide by the general job site safety guidelines as imposed by OSHA. Ten and thirty hour courses are available that will help new or existing employees understand these important safety requirements. OSHA 1926.1101 – Asbestos Safety: Though the incidence of violation is much lower than say, ladder safety or fall protection concerns, workers who are exposed to asbestos may place themselves in harm’s way without ever knowing it. This important OSHA regulation must be fully understood – and the only way to truly do so is to enact the services of a reputable asbestos-related organization to provide training services. While the violations are fewer than other major construction-related concerns, the penalties are severe. More than $2 million in fines was levied last year alone for asbestos related violations. To keep your employees safe, healthy, and productive on the job site, make sure that you partner with a leader in the construction-safety field to provide sufficient training for your valued employees. You’ll take pride in knowing that your team members are safe and happy at work, and you’ll protect your business from the devastating financial consequences of non-compliance with OSHA regulations.